Shake on the cake and make it a extra special day! 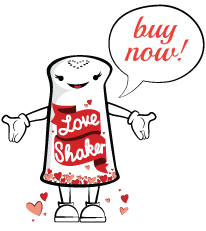 Pass the shaker around the table and ask each person to shake and make a loving wish for the birthday boy or girl. 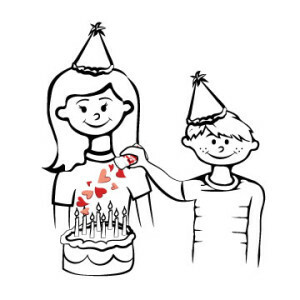 Ask the kids to help make the birthday cake and meal by adding the special ingredient of LOVE into each recipe. Have the kids help preparing and decorating the celebration space by adding LOVE to the atmosphere. Birthdays are especially good when you’re surrounded by LOVE.